Mike Ehrmann/Getty ImagesTiger Woods’ recent string of comeback performances has left the golf world in awe. Tiger Woods’ recent run of stellar play has left the golf world in awe, and excited for what’s to come. Working on two straight weeks of impressive play, Woods is now the favourite to win the Masters in April. Woods already has four green jackets to his name, but has not competed in the tournament since 2015. Then on Thursday, Woods kept his name on the leaderboard all day at the Arnold Palmer Invitational and capped his round off with a massive 71-foot birdie on one of his final holes. Las Vegas has taken notice. After opening as a 100/1 longshot to win the Masters last summer when it was still unclear if he would even play golf in 2018, Woods is now the favourite to win at Augusta National. The Westgate Las Vegas SuperBook currently has Woods listed at 8/1 to win the Masters, just slightly ahead of Dustin Johnson and Justin Thomas who are available at 9/1 to win the tournament. Odds like this reflect both the play of golfers on the course heading into the tournament, but also the public’s betting tendencies. Chances are, Tiger’s recent surge has inspired a lot of gamblers out there to put some money on him at the Masters, leading sportsbooks to react by bringing down his odds. That said, Woods has looked like his old self as of late and already has four green jackets to his name. Fans are already showing a willingness to pay top dollar to see Tiger back at Augusta – ticket prices for the Masters have been skyrocketing since his recent run of play began. 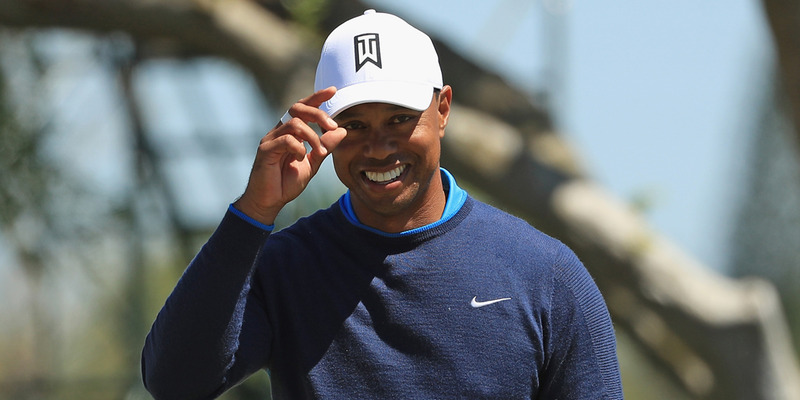 Woods, Johnson, Thomas, and the rest of the Masters field will tee off on April 5.